Wilsons Prom is somewhere I’ve avoided exploring as it seems like every man and his dog heads there and I’ve heard endless stories of how insanely packed the Tidal River Campground gets. So I always envisioned battling crowds to see a place that is so close to home that it surely can’t really feel that remote. I was proven wrong on both counts on my first trip to the Prom with David King. He has done several hikes there over the last 18 months and preaches the virtues of the place. So, in classic Tim and Kingy form, we planned a drop-of-the-hat weekend away so he could dispel my concerns of the area. 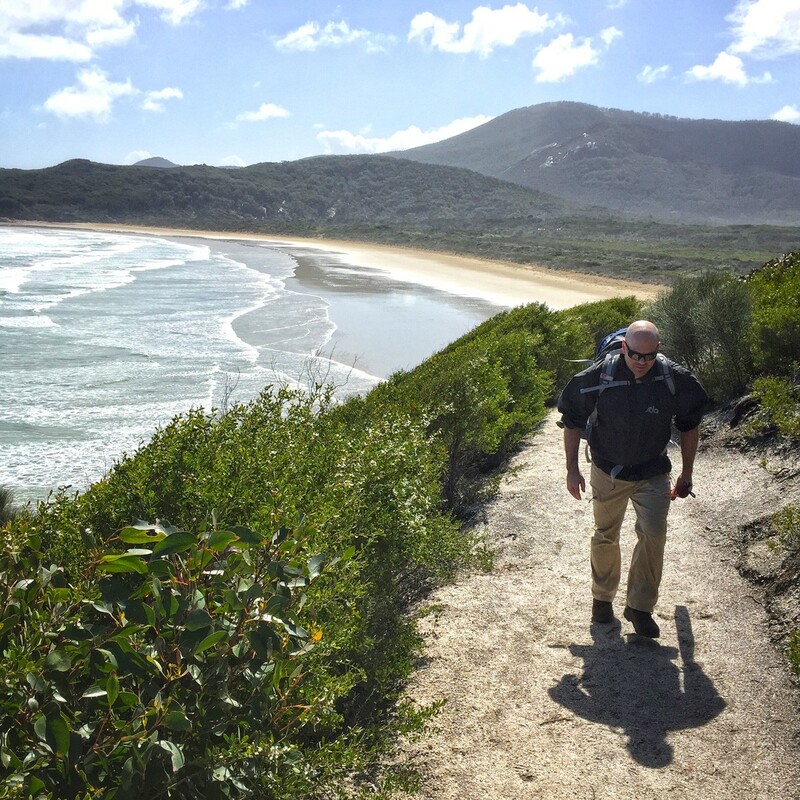 We only had the weekend, so kept it short and planned to park at Tidal River, walking the west coast track to Oberon Bay for the night, then returning the following day. Tidal River in early spring was quiet and parking was easy. We checked in at the visitor centre and headed off on the track that very conveniently starts right next to the centre. The first 1.6km of track is through light tea-tree scrub. The trail is very well maintained and almost manicured in parts. It forms part of the popular Norman Beach / Tidal River loop so is very well traversed. 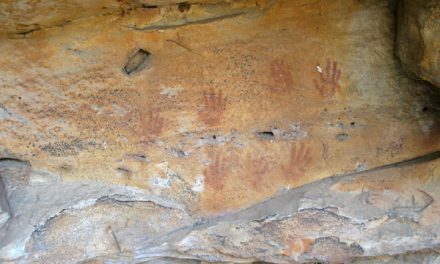 Once reaching the southern end of Norman Beach, the track starts climbing out of the tea-tree scrub and becomes more exposed. The trail skirts around Norman Point before ending on the beach at Little Oberon Bay, 2.2km later. Again, for this section, the track is well maintained and navigation is easy. 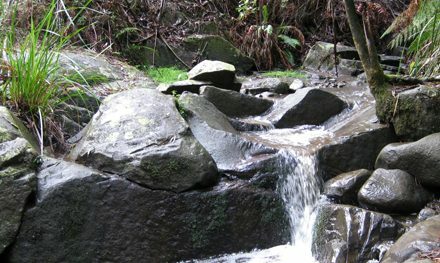 The steeper inclines have rocky steps to aid erosion, and the final stretch before Little Oberon has a number of short bridges over the deeper washouts. This section of the track was by far my favourite. Having never been here before, there was a “WOW” factor around every corner. The islands off the coast are impressive and their size is deceptive. The Glennie Group sits about 8km offshore, but from the elevated track, they appear a lot closer. Even more impressive is Skull Rock visible to the far south. We never got too close to it on this trek but even from a distance, its size is very imposing. As you round Norman Point and start heading back towards Little Oberon Bay, the landscape changes dramatically and this is where it really started feeling remote and wild. The enormous granite slabs that form the face of the hills coming down into the bay get more and more intimidating the closer you get. Throughout this entire trip, I found it hard to gauge the scale of things. Mountains and rocks all looked impressive from a distance, but you never realised how big they were until you were right under them. I felt small a lot of this walk. After a short walk on Little Oberon Beach, the track rises again around the final point before descending into Oberon Bay. This last section of track is rockier than previous parts but still shows signs of regular maintenance, with all major water run-offs piped under the track. The roughest part of the track is the last descent down to Growler Creek at the north end of Oberon Bay. There are some larger steps required and, especially going down, was hard on the knees with a heavy pack. Thanks to the 25mm of rain the day prior, Growler Creek had breached the sandbar and was flowing out. It meant getting wet feet but the mouth is wide enough that there were rarely spots worse than ankle-deep. The wind on this trip was howling so the walk from north to south along Oberon Beach was hard work. The beach is only 1.4km long but never seemed to end. We eventually made it to where the track leaves the beach and heads up the campground and once behind the dune, the wind was almost non-existent. The layout of the campground is superb. 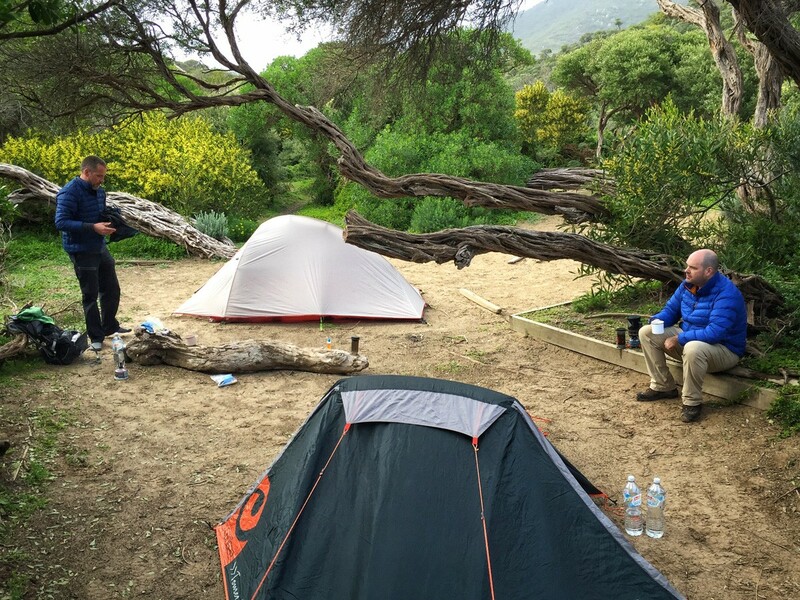 There are a number of secluded pockets tucked back into the bush that comfortably fit a two-man tent, but not much else. It means there could be a fair few people here but you would still feel like you had the place to yourself. The sites down the end of the track are more communal, with multiple tent sites partitioned off in the one area. A water tank and pit toilets are located at the entrance to the sites. These were well maintained and clean. The tank was full of good water on our trip, but we filtered it regardless to be safe. The rest of our trip consisted of exploring the rocks to the south of Oberon Bay and drinking good amounts of coffee. The hike back the following day returned on the same trail we came in on, making the loop around 17km. You could easily do this entire loop as a day hike if you packed light. More popular seems to be taking the track only to Little Oberon Bay and back to Tidal River. We saw plenty of people on this section of the track, but fewer once we got passed Little Oberon. 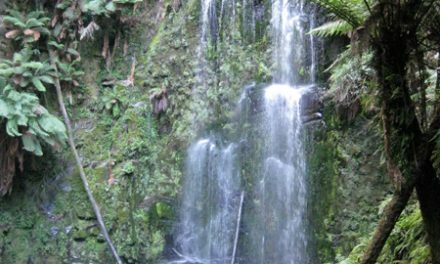 Grade: Easy – Medium / Grade 3 (according to the Australian Walking Track Grading System). Trail Conditions: Excellent. Mostly levelled, well-traversed track with rocky steps on the inclines/descents. Approx 4km of beach walking. 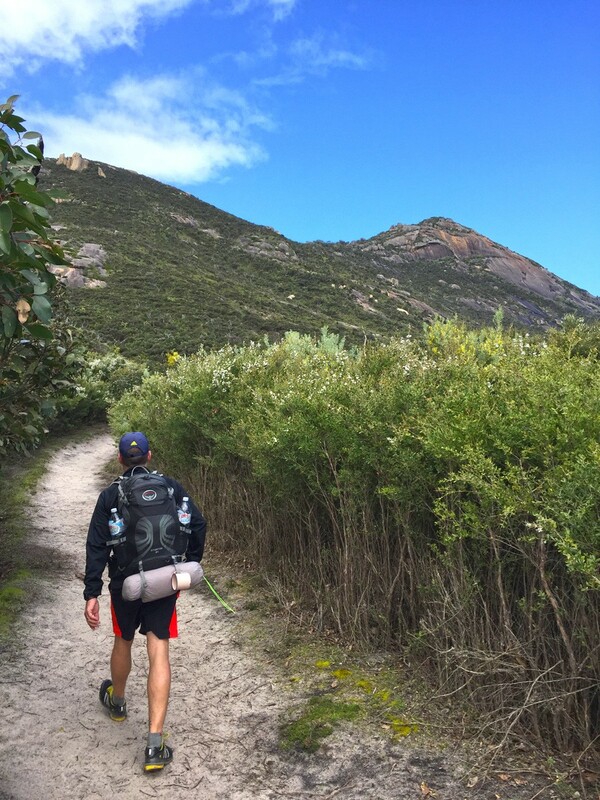 Path Taken: Tidal River – Oberon Bay Walking Track – Oberon Bay – Oberon Bay Walking Track – Tidal River. Car Access: Tidal River is approx 225km from Melbourne. Follow M1 to C422 (Healesville-Koo Wee Rup Rd) in Pakenham. Take C422 south to M420 (South Gippsland Hwy). Stay on South Gippsland Hwy through Korumburra and Leongatha. At Meeniyan, take C444 Meeniyan-Prom Hwy south and remain on this road to Tidal River. The trailhead is next to the visitor centre. Further Info: The trail is suitable for families with young children. 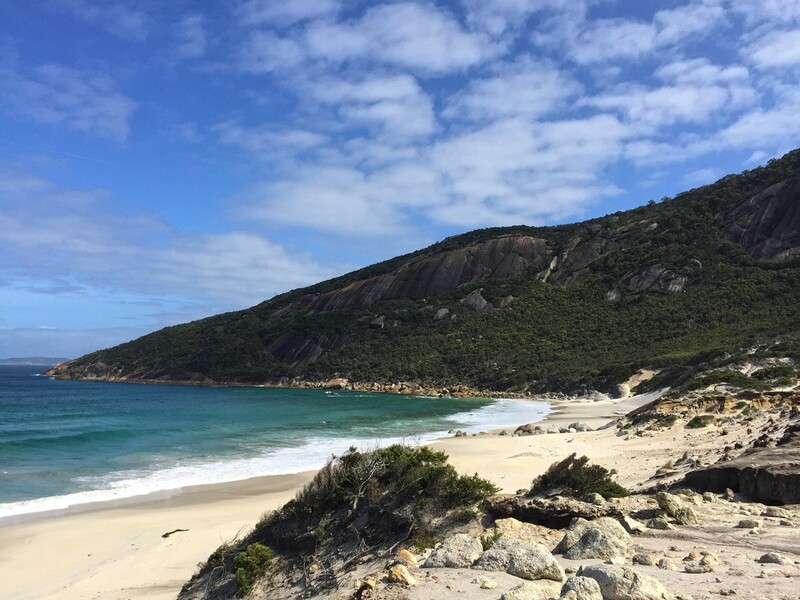 Bookings are required for overnight stays throughout Wilsons Prom. These can be made via the Parks Victoria website. No fires are allowed inside the national park. The Prom is surrounded by Marine National Park so there is no fishing permitted. Tank water and pit toilets are available at Oberon Bay Campground. 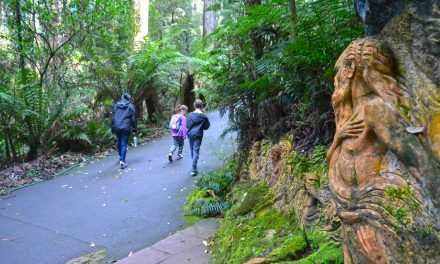 Map: All tracks are covered in this Parks Victoria guide. 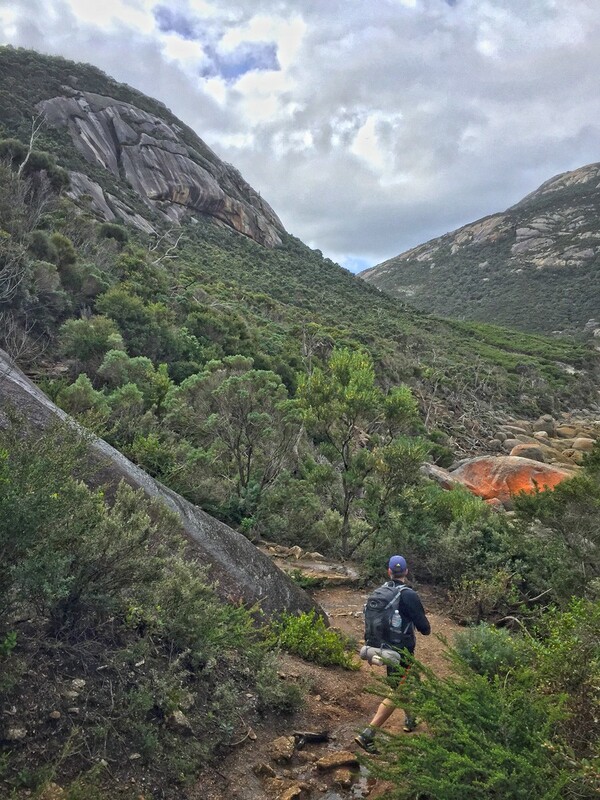 NSWTopo’s Wilsons Promontory North 1:25,000 map will also cover you. If you’re happy to use your phone as your map you can download the free Avenza Maps app (on Android, iPhone, or Windows). This will allow you to grab the Parks Victoria guide above or buy the NSWTopo map for AUD$2.99. 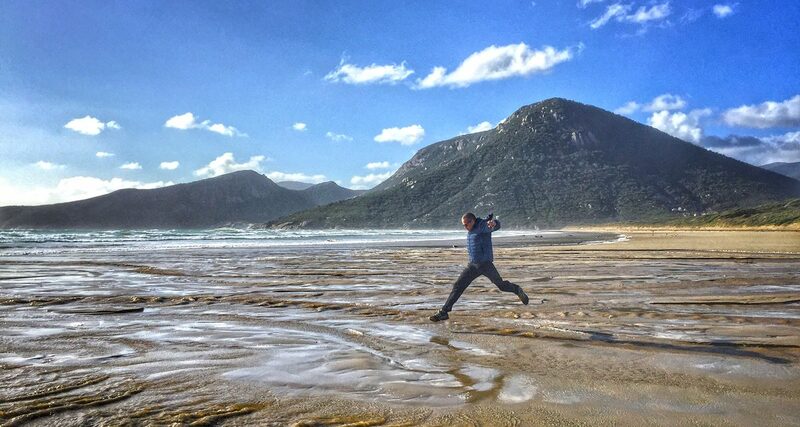 Have you visited Wilsons Promontory National Park? Got it on your bucket list? If you have any stories, updates or corrections, please let us know by commenting below. PreviousReview: Lander Moab iPhone Case – protection from drops, deadly degrees, and the dark? Tim is a hiker and mountain biker with a passion for specialty coffee and for enjoying it in the wilderness. He brews coffee anywhere and everywhere, whether practical or impractical, and he documents his passions on his website, Bike Hike Brew, and also his Instagram account.